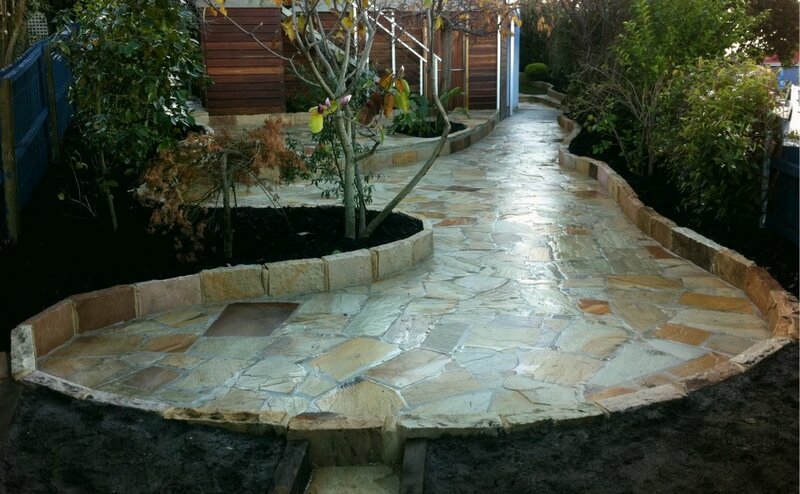 One of our first major projects in Tasmania, this garden was already established - too established and on the verge of being out of control for time-poor professionals with young kids. 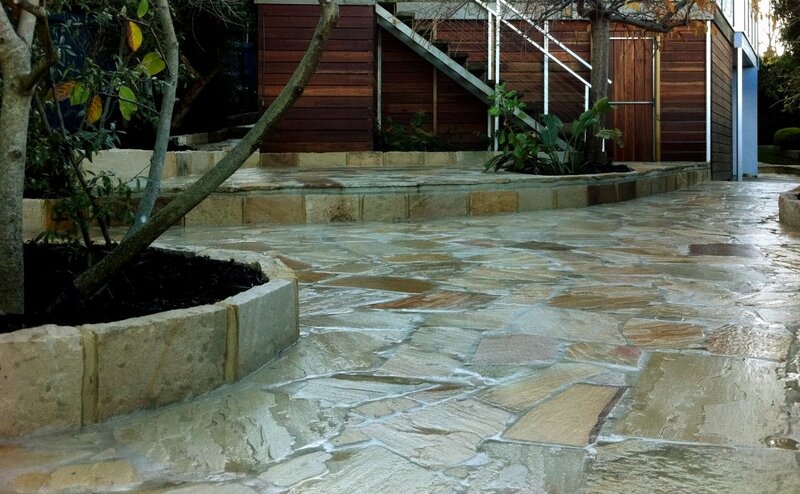 Lower maintenance functionality was needed without compromising the lushness of the already advanced plants. 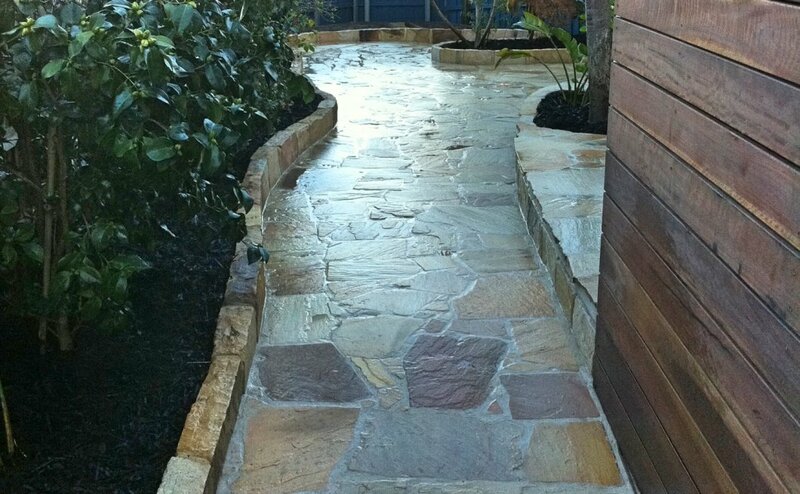 We reclaimed the middle ground with crazy paved sandstone, curving low walls around some of the plants, allowing others to poke through as green islands, and removing others altogether. 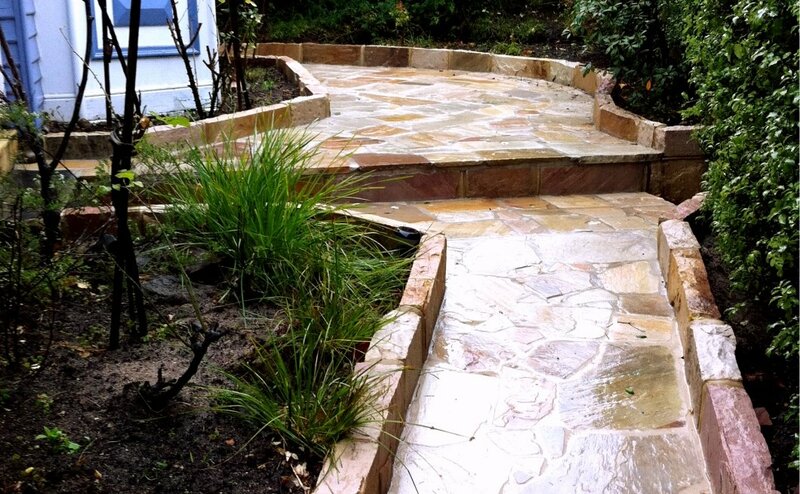 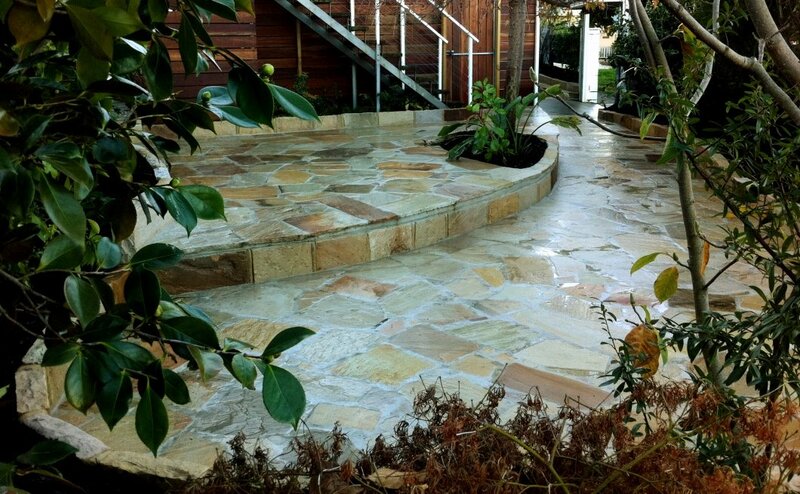 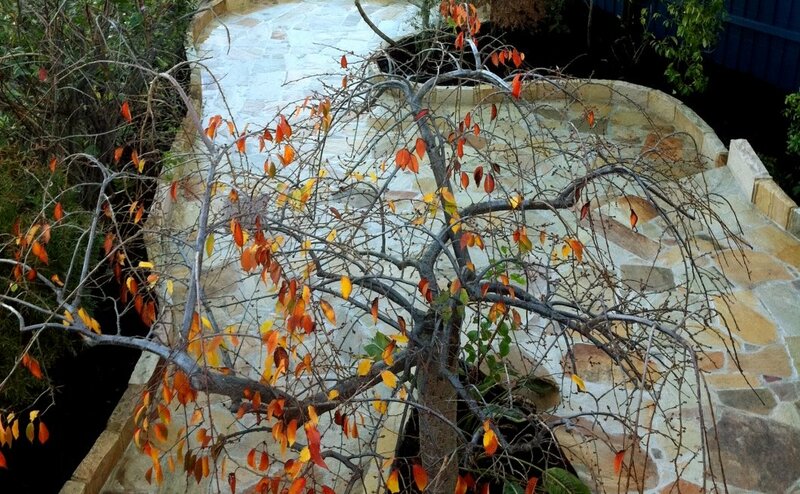 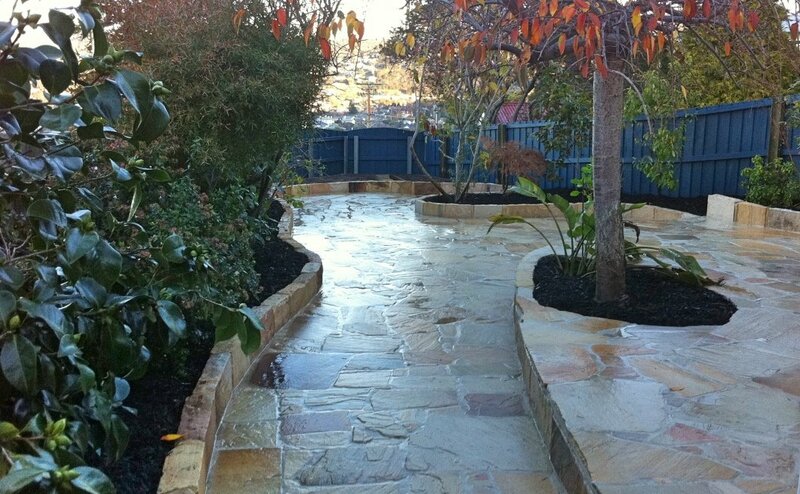 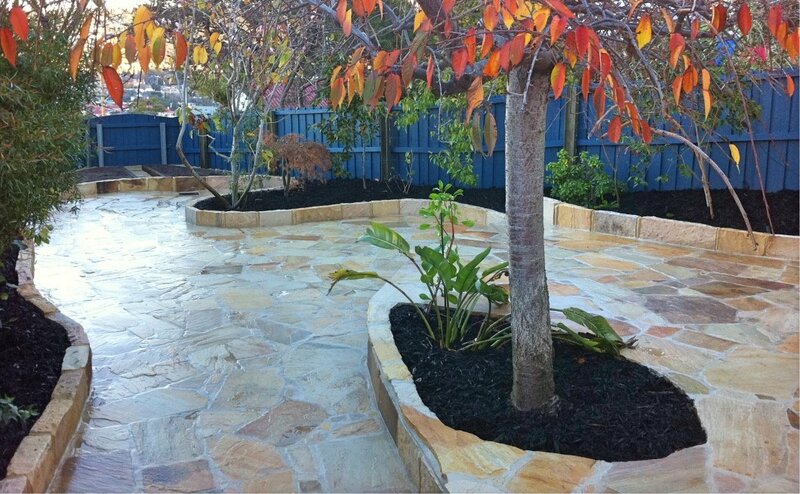 Sandstone paths linked all the way around the house, and we enclosed the space under the back deck with wide format Spotted gum to make a rumpus room for the kids. 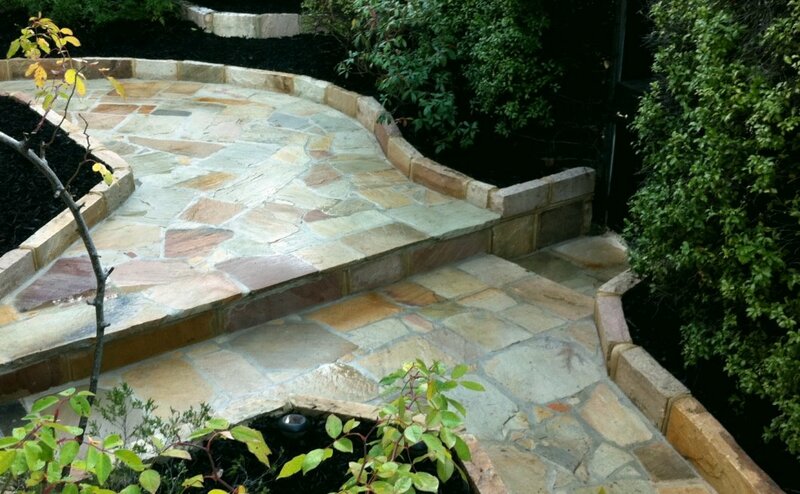 A small elliptical island of lawn for the dog ticked the remaining boxes.